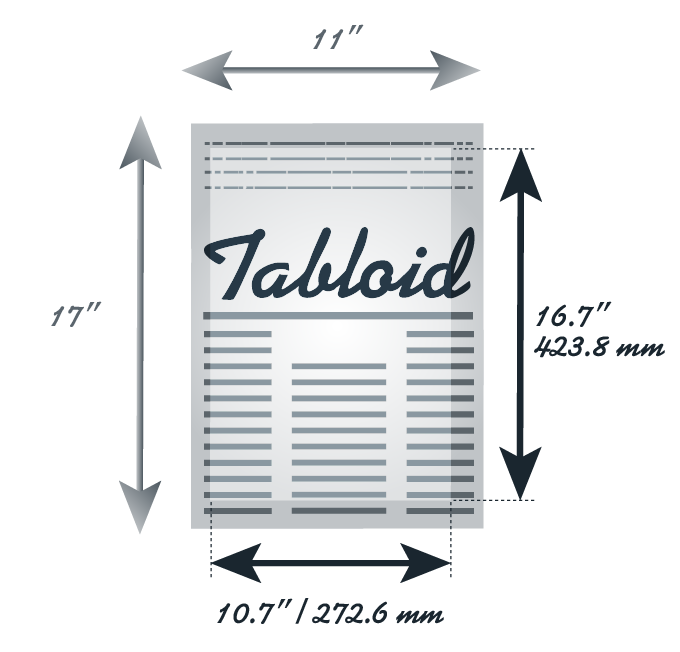 Tabloid format is a widely used for printing newspapers that have preferred a smaller size than usual. 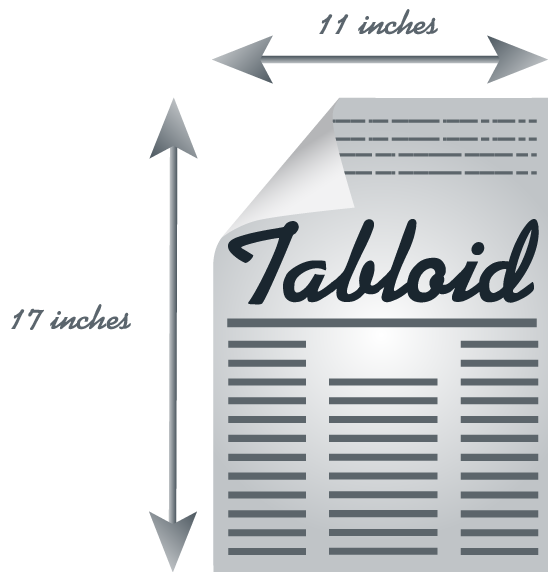 Indeed, broadsheet format is used by most European newspapers, while tabloid is widely used in Anglo-Saxon countries (Great Britain and North America). Today, many European newspapers begin to use this format for many reasons. Firstly, it is more economical in printing. Indeed, there are many newspapers which today must cut costs following the development of information through Internet. This is why many of them begin to develop a tabloid format. Some also adopt it to make its reading and transport easier. 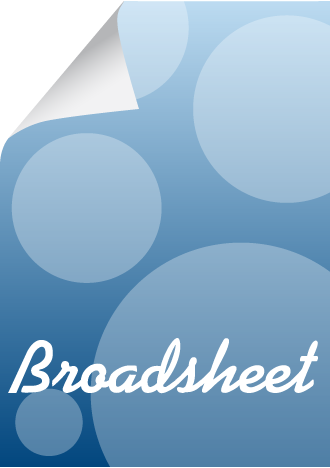 Indeed, broadsheet is very large, and no longer allows the ease of use that readers expect. 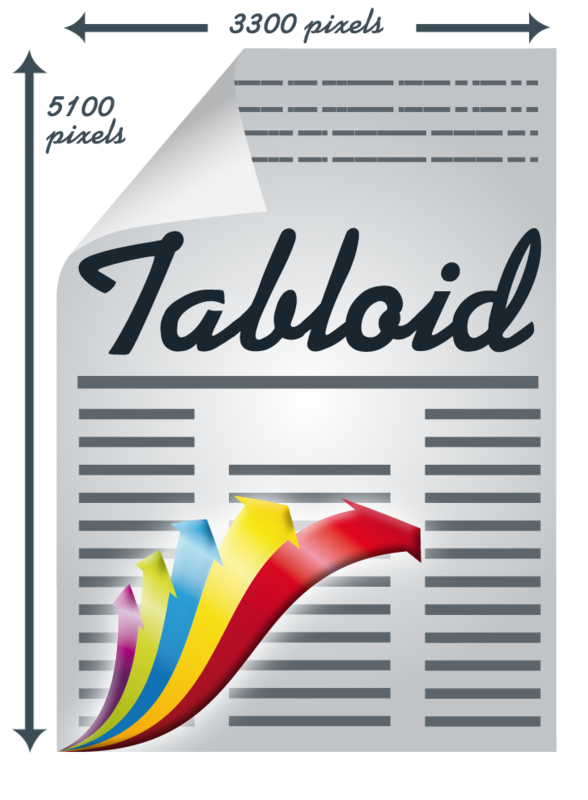 In transport, for example, Tabloid format is more convenient, it fits in the bag and easily opens and closes. 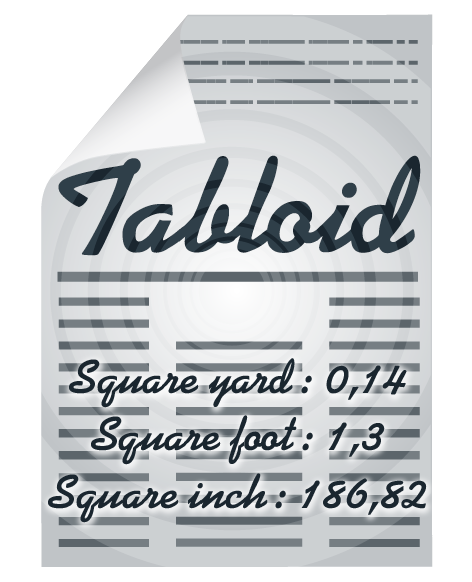 Tabloid format measures 432 x 279 mm or 17 x 11 inches. Its printable area is obviously reduced after observing the margins applied by printers. Its area is 0,120 m². 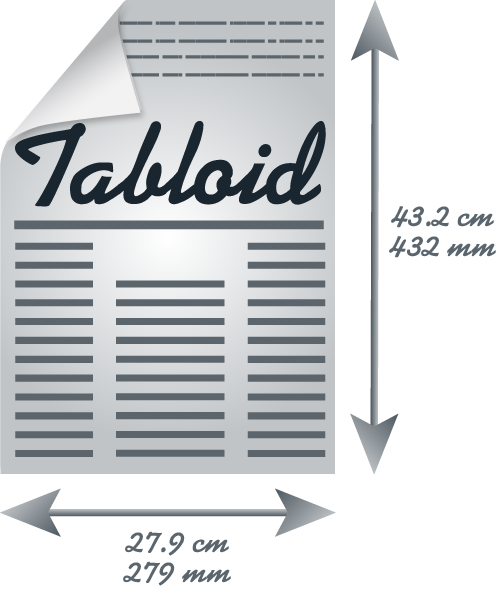 Tabloid format is only used for printing newspapers, is never used at home or for business. 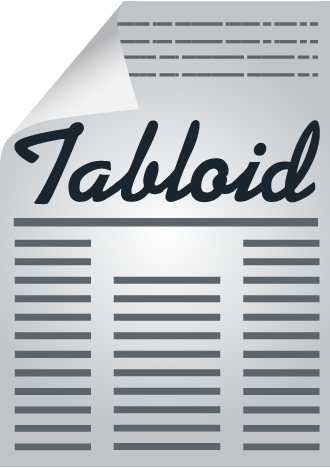 The term "tabloid" comes from the London pills manufacturer Burroughs, who adopted it to define the pills that it manufactured in the late nineteenth century. The manufacturer used a specific compression technique to form pills. 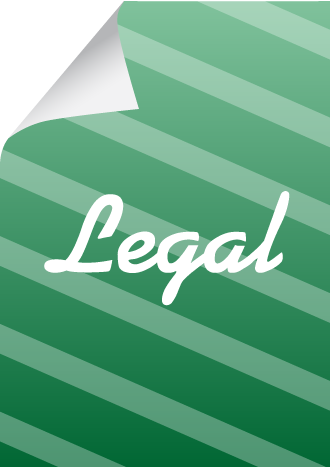 This term became popular to describe anything that would be compacted or compressed, becoming easier to use. This is why the term was taken for newspapers since the first "tabloids" resumed stories and gossip of worldly life for broadcast on an easy to read and store format. 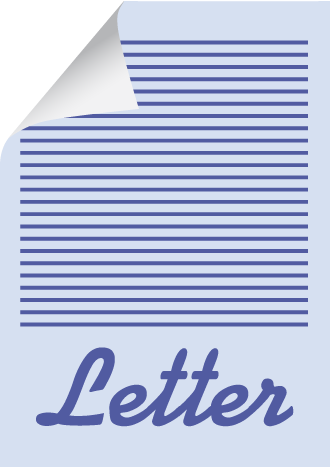 The term has remained to this day, although now classic papers that use that size do not wish to use it, they prefer "compact newspapers." 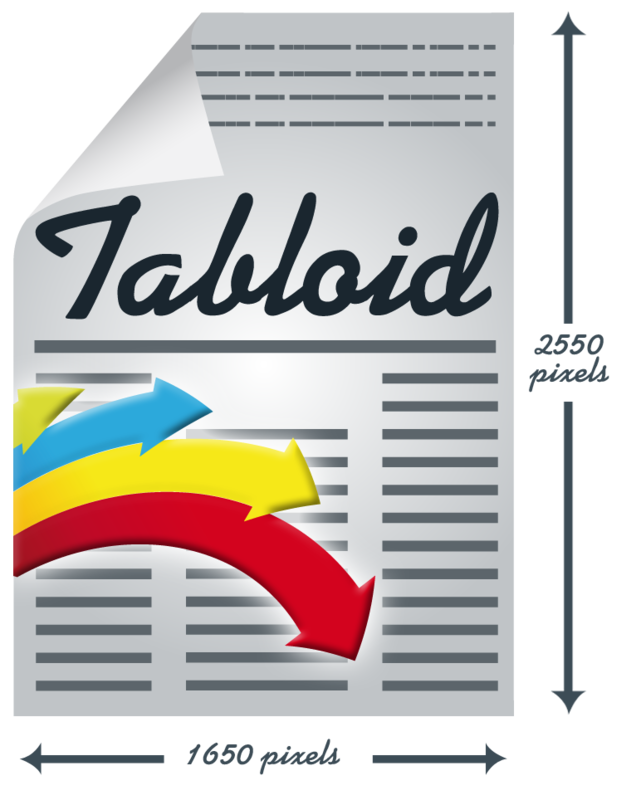 They are thus not compared to tabloid newspapers, that have bad reputation. 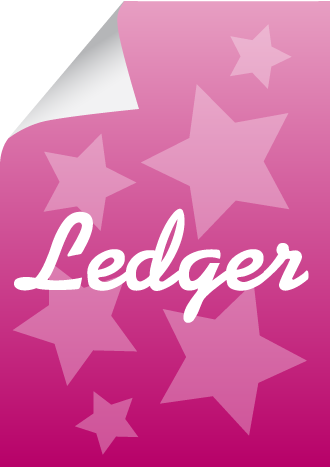 What do you think about this Tabloid paper page?